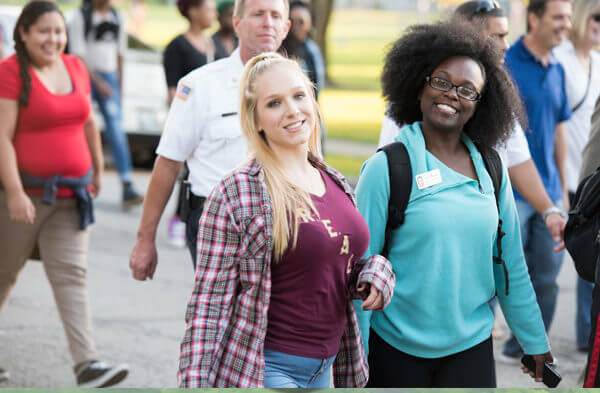 For the fourth consecutive year, members of the NIU and DeKalb communities will join together in a Unity March to signify their shared desire to bring positive change. Participants will gather at 5 p.m. on Sept. 19 in the MLK Commons and then depart for a walk at 5:30 p.m. 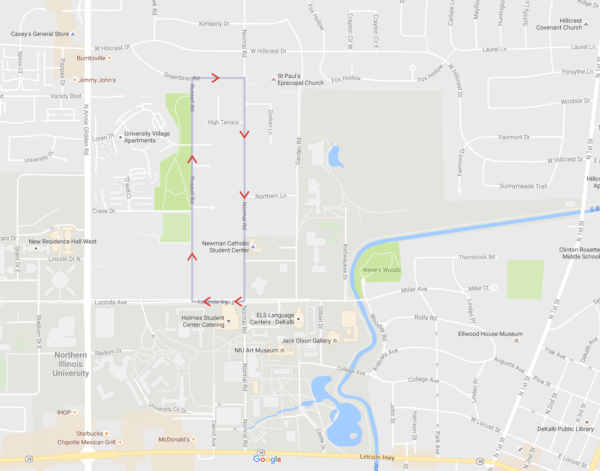 The walk will leave from MLK Commons and go up Normal Drive to Lucinda through Greenbriar and back to MLK Commons. All are welcome to join, and the event is being sponsored by organizations across NIU and the DeKalb community. The march began four years ago after Michael Brown, a resident of Ferguson, Mo., was killed by a police officer. As protests in Missouri made national news for weeks, campus and community leaders sought to ease high tensions. NIU Police Chief Tom Phillips, along with DeKalb Police Chief Gene Lowery, and New Hope Baptist Church Pastor Joseph Mitchell created the Unity March to bring the university and DeKalb communities together. Mitchell recalls watching on the news the many nights of civil unrest and clashes between protestors and law enforcement in Ferguson, Mo., and said one night stuck out to him. Mitchell had coffee with Lowery and Phillips and shared his idea of a Unity March. Both police chiefs liked the idea, and so the Unity March began. Mitchell said he knows the march will not solve all issues in the community but this is one of many efforts in our communities to make a positive change. For each Unity March, participants are instructed to talk to someone they don’t know, Mitchell said. Immediately following the march at 6:30 p.m. everyone is invited to Sandburg Auditorium in Holmes Student Center for a screening of the documentary Bring it to the Table by Emmy-nominated director Julie Winokur. Bring it to the Table aims at engaging viewers in civic action and empowering them to take an active role in breaking down hyper-partisanship. 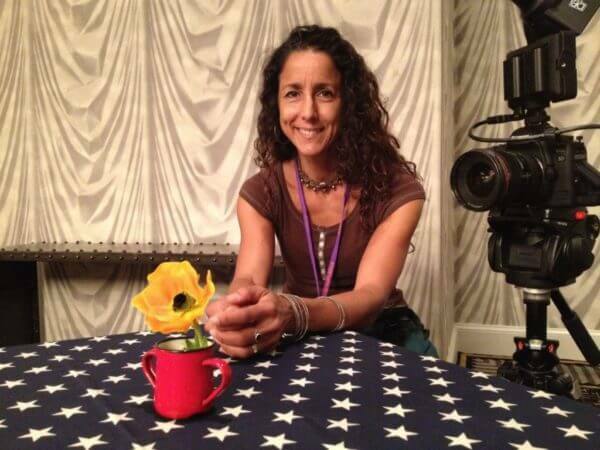 Julie Winokur will come to campus the following week on Sept. 28 at 6 p.m. to discuss the film and engage participants in discussions and launch our Diversity Dialogue Series. A total of three speakers will visit campus throughout the fall semester to hold workshops and discussions centered on topics of diversity. The events are free and open to the public. Parking is free and open to the public in the parking garage and the visitor’s lot on Carroll Ave. To request disability-related accommodations, please contact Kelly Wesener-Michael at 815-753-6100. Advance notice is appreciated.